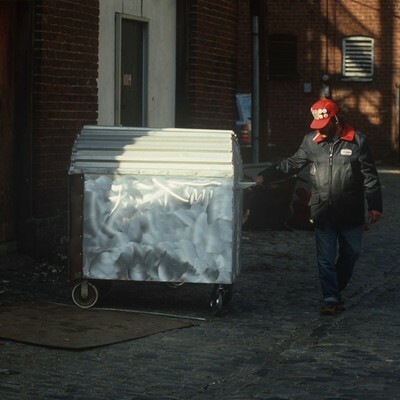 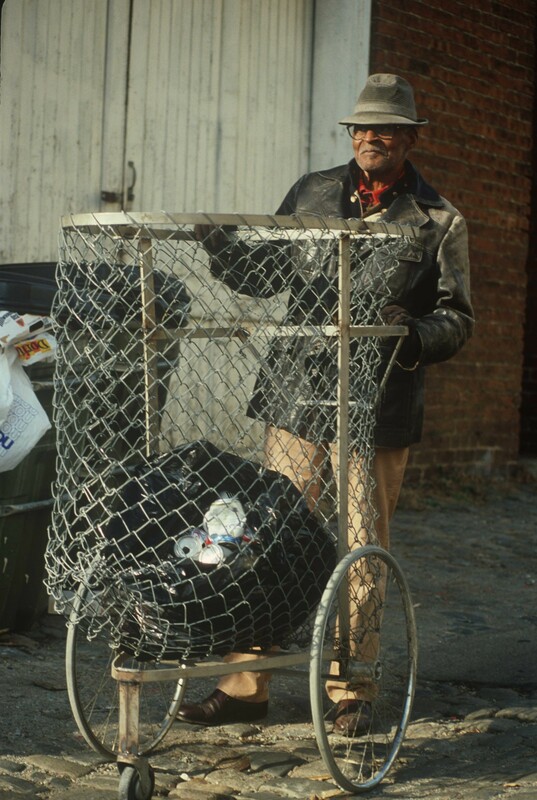 Working collaboratively, Bradley McCallum designed and produced eleven carts that were distributed to homeless people who specifically collected aluminum cans and other materials for recycling in Richmond, VA. 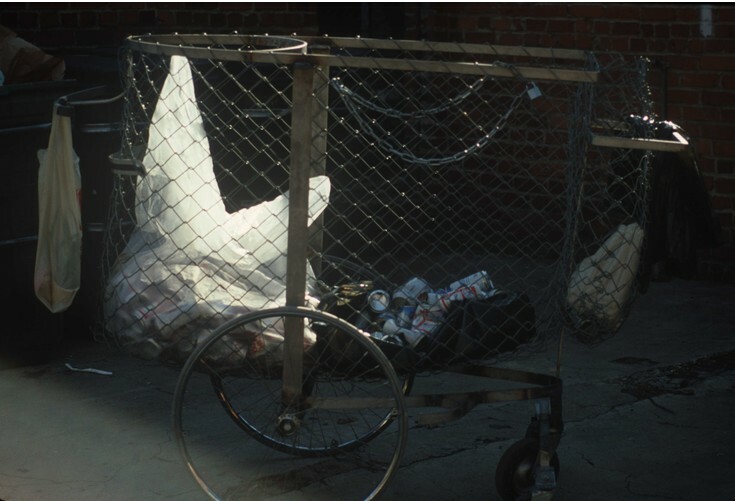 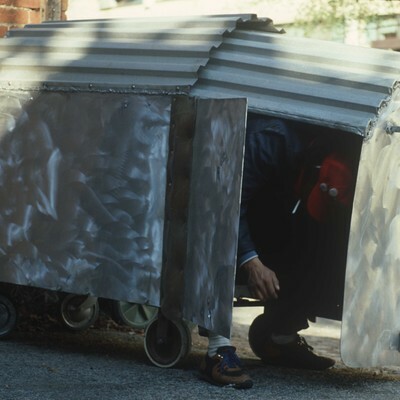 The Carts combined sculpture and performance, and made the essential work of homeless people visible and public. 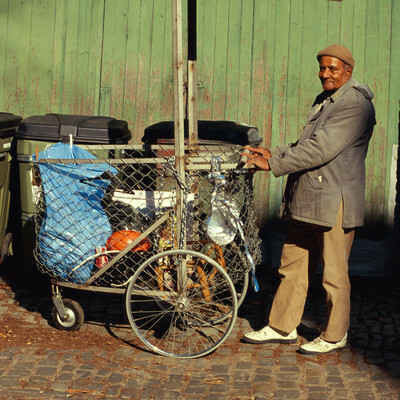 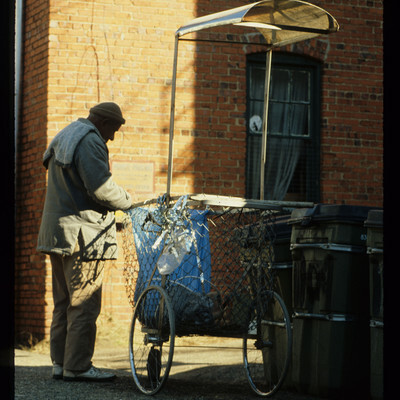 On 5 June 1989, John Henderson returned his Cart to the artist after he was diagnosed with cancer and lacked the physical strength to continue collecting cans. 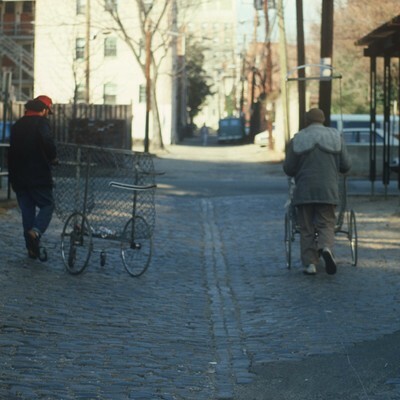 The remaining Carts continued to be used for several years, resulting in an ongoing public artwork that had a functional and performative presence in the city.